Enterprise Focusa web-sovellus on luotettava, selainkäyttöinen web-ohjelmisto. Advanced web technology is our own know-how. Oy Dianti Ab is located in Paimio, Finland. We've been focusing on web applications and cloud technology - since 2004. The architecture we use is easy to edit, if necessary, with a fast schedule. Our built-in Focusa web apps work both on the internet and on the corporate network. A user only needs a web browser on a workstation or on a mobile device. We serve our customers with the latest innovations in the industry. Continuously evolving cloud and web technology provides it the agile basis. Our strength is the flexibility of an SME. 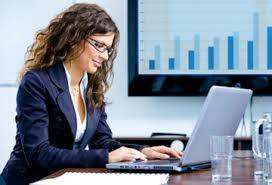 Highly trained *) staff is a resource that gives us the ability to embrace the latest technology. *) Our programmers have an IT degree in higher education. Our goal has set the high quality of our products. We want it to appear in detail as well. We are striving to be among the first to introduce the cutting-edge technology. We share our values with The Finnish Work association with, among other things, in that the success of Finnish work is close to our heart. We are from the very beginning - for over ten years - focused on leading database vendor Oracle's industry-leading web development tools and database. We are able to do flawlessly and quickly the applications our customers are requiring. Managing thoroughly our toolbox has helped our success in the work. As proof of this, we have satisfied customers. It's a lot in the industry where almost a third of projects fail. Oracle database is number one. In particular, applications requiring security use Oracle as data storage. Our work has been rewarding. We now have database applications that represent the most advanced technology in the industry. This year (2018) we are clerly on the rise. We are particularly proud of the applications used in measuring and calibration equipment, which are already succesfully in production. It increases our confidence in building up really demanding software. Also our CRM solution is promising. Year 2019 looks good. Our company's foundation stones, competent, enthusiastic staff and top quality products provide a solid foundation for our future operations. We have networked with Finnish entrepreneurs and programmers in the field. It gives us the severity to carry out challenging projects.